Do you have an optimised Google My Business listing? Google Maps is an increasingly important place for businesses to appear online. Maps is becoming more and more prominent on the first page of Google Search results. Creating and optimising a Google My Business listing is an easy way for small businesses to stay competitive. Increasingly, we complete 'local' searches every day in Google, looking for products and services in our local area (e.g. "emergency plumbers near me"). Google recognises that these searches are local, and will often serve a Google Map insert within the search results featuring listings of local vendors. These are known as Google My Business (GMB) listings. The GMB listings are featuring more and more in search, and are a key means to promoting your business and brand locally and driving free traffic to your website. You can now even publish small posts on your Google business listing. It's important to claim, verify and manage the content of your GMB listing/s so they perform optimally in Google Search. For a nominal fee, Adhesion can set up and verify your Google My Business account and search optimise your listings for your business address(s) and category of business. Your Google Reviews are also visible and accessible from your GMB listing. These reviews are becoming more influential in gaining the trust and business from prospective customers. See our article How Google Reviews Work. 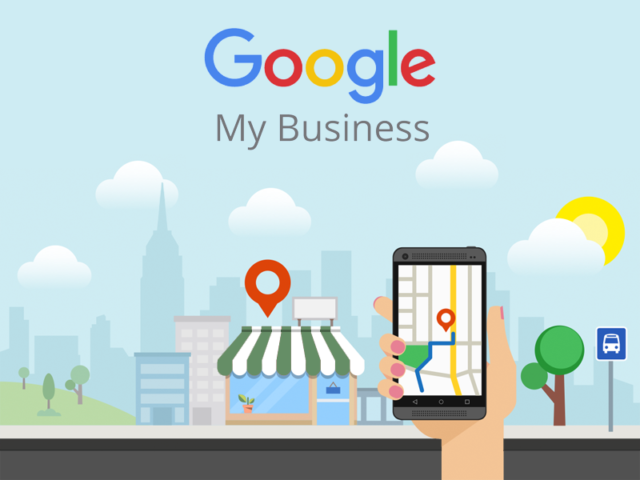 To learn more about how to update and manage your business listing info on Google, contact us or read our blog article about How Google My Business Work. Download our Google My Business listings info pack detailing our packages designed for small NZ businesses.